An advantage of the Knauf Deflection Head Track is that it can simply be ‘friction fit’ into the Deflection Head Track just as it would with a Standard Head Track. Walls that are required to allow for vertical deflection must have a Deflection Head Track at the top of the wall. The Deflection Head Track is a 50mm deep profile. The studs must be cut 20mm short of the supporting structure, this allows for the structure to deflect downwards up to 20mm without causing damage to the wall below. 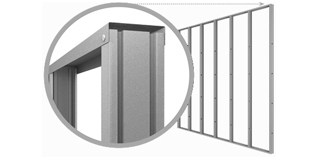 For most internal walls in the 2400mm to 3600mm height range the stud can simply be friction fit into the Deflection Head Track just as it would with a Standard Head Track. 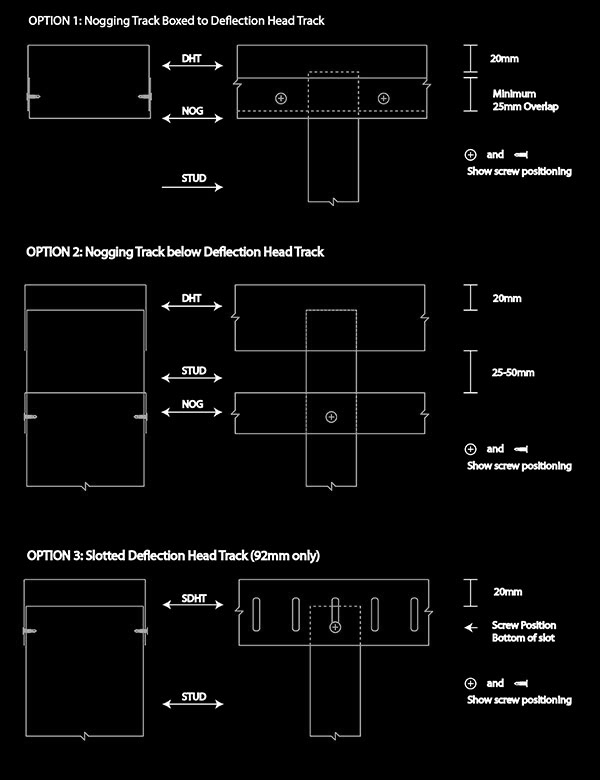 For external walls and other situations the use of a nogging track within 100mm of the Deflection Head Track may be required.  Contact Knauf Technical Team for further information. 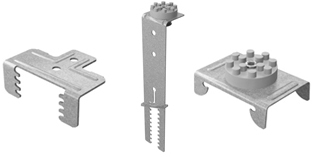 Knauf Metal now produce a Slotted Deflection Head Track for external 92mm walls, this allows the stud to be screwed to the Deflection Head Track, eliminating the need for a row of nogging within 100mm when this product is used.